Overall academic excellence, exceptional value and terrific teachers earned Lawrence University recognition in U.S. News & World Report’s 2016 “America’s Best Colleges” just-released (9/9) report. Lawrence remained Wisconsin’s highest-ranked liberal arts college at 57th among 235 national liberal arts colleges and universities in the magazine’s 29th annual guide. Lawrence also was named to U.S. News’ Great Schools/Great Prices list, one of only 40 national liberal arts colleges cited as a great value based on an institution’s academic quality and the 2014-2015 net cost of attendance for a student who received the average level of need-based financial aid. A hallmark of Lawrence — excellent teaching — was recognized on U.S. News’ list of institutions with the best undergraduate teaching. Lawrence tied for 12th on a list of 34 national liberal arts colleges based on a peer assessment survey in which college presidents, provosts and admission deans were asked to identify schools where the faculty has an unusually strong commitment to undergraduate teaching. The guide’s list of best colleges for veterans included Lawrence as well — 42nd among 56 national liberal arts colleges that made the list. To be included on the best colleges for veterans list, a school must be certified for the GI Bill and participate in the Yellow Ribbon Program, the Post-9/11 GI Bill. U.S. News’ annual rankings of nearly 1,400 of the nation’s public and private four-year schools are based on data from up to 16 separate factors, each of which is assigned a “weight” that reflects the magazine editor’s judgment as to how much that measure matters. Each school’s composite weighted score is then compared to peer institutions to determine final rankings. 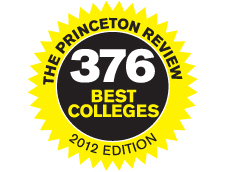 Lawrence University retained its standing as the top-ranked liberal arts college in Wisconsin in U.S. News & World Report’s 2013 “America’s Best Colleges” report. Lawrence was ranked 56th nationally — up from 60th last year — among 239 national liberal arts colleges and universities. 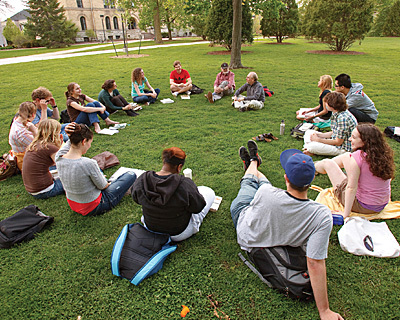 Lawrence was the highest ranked college among eight Wisconsin institutions in the category. Lawrence also was Wisconsin’s top-ranked college by Forbes in its college guide released last month. U.S. News’ annual rankings are based on a combination of subjective information such as academic reputation (22.5%) and quantitative measures that education experts have proposed as reliable indicators of academic quality, including graduation and retention rates (20%), faculty resources (20%) student selectivity (15%) and alumni giving rates (5%), among others. Lawrence showed improvement in several of the categories used in the ranking methodology including number of incoming students ranked in the top 10 percent of their high school class (46%), freshman retention rate (89%), graduation rate (77%), and acceptance rate (53%). Lawrence’s commitment to individualized learning and small classes was reflected in its high rate of classes with 20 students or fewer (75%), one of only 30 schools among the 239 in the category with that high of a percentage. 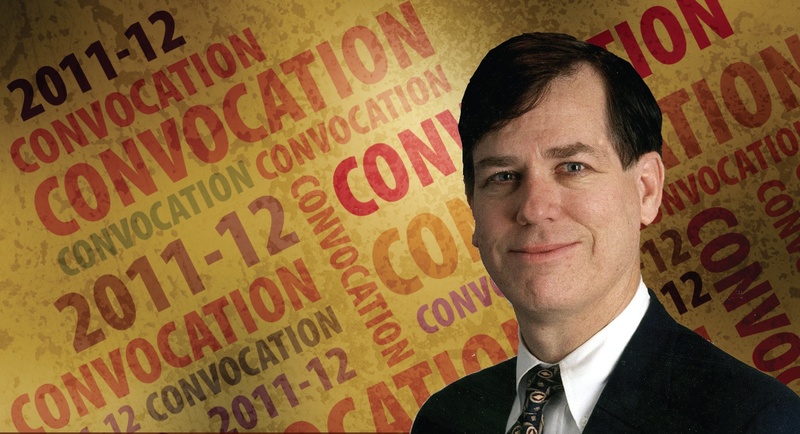 While the national recognition is appreciated, Anselment says families should consider all college guides as but one tool in their college selection process. “College rankings value different things according to their own system. The best way to discover if a college matches with your values is to experience it yourself by engaging with it as much as possible before deciding to enroll. 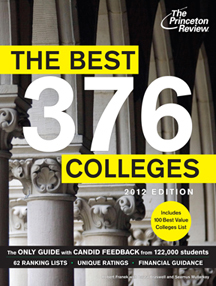 In compiling its 2013 “America’s Best Colleges” guide, U.S. News & World Report evaluated nearly 1,500 of the nation’s public and private four-year schools, using data from up to 16 separate factors, each of which is assigned a “weight” that reflects the magazine editor’s judgment as to how much that measure matters. Each school’s composite weighted score is then compared to peer institutions to determine final rankings. 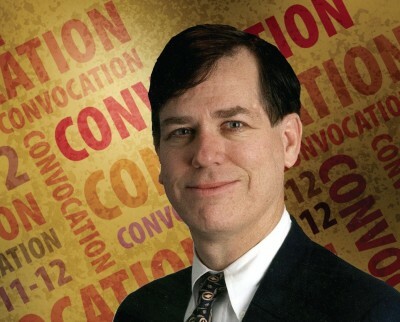 Harry M. Jansen Kraemer Jr. — author, professor, and executive partner of the Chicago-based private equity firm Madison Dearborn Partners — delivered a lesson on leadership at Lawrence University’s opening convocation of the 2011-12 academic year. Sharing the insights revealed in his book “From Values to Action: The Four Principles of Values-Based Leadership”, Kraemer encouraged students to take the leadership reins “ASAP”. A 1977 Lawrence University graduate, Kraemer is also the former chief executive officer of the multibillion-dollar global health care company Baxter International. He generously donated 500 copies of his book for distribution to Lawrence students. Members of Lawrence University’s class of 2015 will become better acquainted with their new hometown Saturday, September 10, when they head into the streets of Appleton for an afternoon of volunteering. The 363 first-year students arrived in Appleton this week from 26 different states and 21 different countries. The Into the Streets program is designed to help them understand the needs of the community they will call home for the next four years. Lawrence students will help with cleaning, unloading, taking inventory, planting, harvesting, landscaping, bowling with senior citizens and constructing a greenhouse alongside homeless shelter residents. Lawrence University’s mission emphasizes preparing students for “responsible and meaningful citizenship” and the Into the Streets Program is one of dozens of community service events that Lawrence University students participate in annually. We’re in the home stretch of our summer “Here’s Looking at LU Photo Contest” and things don’t get any easier with week no. 7’s photo. If it looks familiar and you think you know what/where it is, send us your guess. A correct answer qualifies you for a random drawing for a weekly prize as well as gets your name in the drawing for the $50 grand prize prize package from KK’s Apparel and Gifts at the end of the contest. 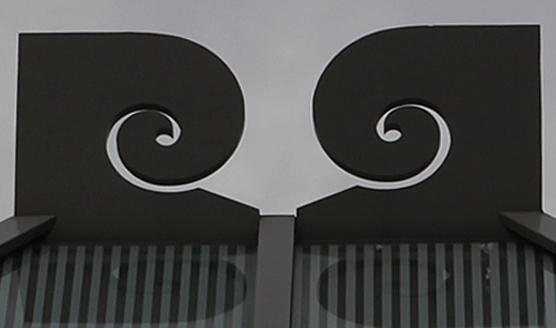 Congratulations to campus security officer Michael Beaupre, who correctly identified last week’s mystery photo as the decorative fins that adorn the northeast and northwest corner skylights of the Wriston Art Center. Michael was one of only 14 entrants with the correct answer last week, earning a Lawrence University spirit tumbler for his winning entry. Each Monday from now through the end of August, we’ll post a photo on the Lawrence website news page, and the headline “Here’s Looking at LU! Contest” on the website home page. On August 29, 2011, at the conclusion of the contest, one entry from among all correct contest entries will be chosen as the “Here’s Looking at LU!” grand prize winner. The grand prize winner will receive a $50 prize package from KK’s in the Warch Campus Center. The more weeks you enter, the better your chance of winning! We’ve passed the midpoint of our summer “Here’s Looking at LU Photo Contest.” If you think you know what and where this week’s photo is, send us your guess. A correct answer qualifies you for a random drawing for a weekly prize as well as gets your name in the drawing for the $50 grand prize package from KK’s Apparel and Gifts at the end of the contest. 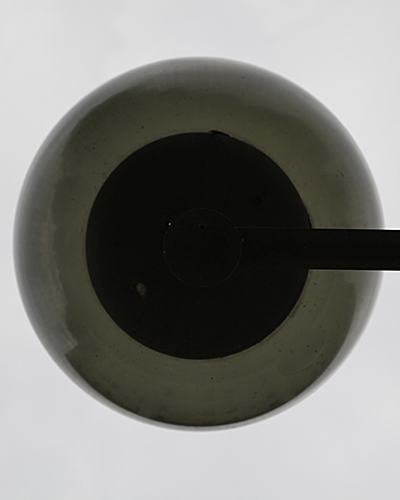 Congratulations to Peter Boyle ’12 of Belle Mead, N.J., who correctly identified last week’s mystery photo as one of the streetlights out in front of the Seeley G. Mudd library…shot from directly underneath the light fixture. Peter was one of only 17 entrants who correctly identified that photo and he will receive a genuine Lawrence University spirit tumbler for his keen eye. As our summer “Here’s Looking at LU Photo Contest” moves into week no. 5, it’s time for a slightly tougher picture. If you think you know what this is, be sure and send us your guess. A correct answer makes you eligible for a weekly prize as well as the grand prize $50 prize package from KK’s Apparel and Gifts. Congratulations to Andrea Powers Robertson ’94 of Chicago, for correctly identifying last week’s mystery photo as the fulcrum adjustment wheel on the diving board at the Buchanan Kiewit Wellness Center! 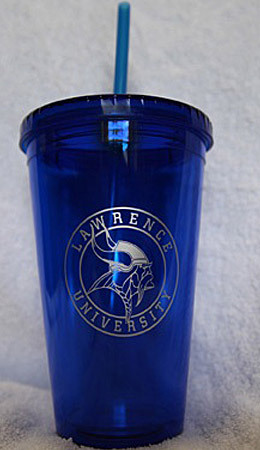 Andrea was among 59 entrants guessing correctly and she’ll receive a genuine Lawrence University spirit tumbler for her superior knowledge of the LU Campus. Everyone who submitted a correct answer will be eligible for the grand prize drawing at the end of the contest. Lawrence University may be able to claim TWO Emmy Award winners this fall. Eric Simonson, a 1982 Lawrence graduate, directed the 2010 HBO documentary “Studs Terkel: Listening to America,” which was nominated in the Outstanding Historical Programming – Long Form category of the news and documentary Emmy Awards. The documentary examines the life and career of legendary author and radio and television pioneer, who died at age 96 in 2008, just six months after his final interview for the film. Award-winning journalist Linda Ellerbee served as one of the production’s executive producers. An accomplished theatre, film and opera director as well as playwright, Simonson is a two-time Academy Award nominee and a 2006 Oscar winner for his documentary short “A Note of Triumph: The Golden Age of Norman Corwin.” He earned his first Academy Award nomination in 2001 as director of the HBO documentary short “On Tiptoe: Gentle Steps to Freedom,” which profiled the South African singing group Ladysmith Black Mambazo. That film also earned Simonson an Emmy nomination. He also directed Steppenwolf Theatre’s “The Song of Jacob Zulu” on Broadway, which received six Tony Award nominations in 1993, including one for best director. More recently, Simonson wrote the script for the play “Lombardi,” a biographical drama based on the life of the legendary Green Bay Packers head coach, which debuted at New York City’s Circle in the Square theater in Oct. 2010. Winners in 42 categories of the news and documentary Emmy Awards will be announced Monday, Sept. 26 in New York City by the National Academy of Television Arts & Sciences. Garth Neustadter, a 2010 Lawrence graduate, earned a 2011 Primetime Emmy nomination for original dramatic score in the Outstanding Music Composition category for his work while still a student on the American Masters documentary “John Muir in The New World,” which aired on PBS in April. Those awards will be announced on Sept. 18 from Los Angeles. A $50,000 grant from the New York City-based Henry Luce Foundation will support the development of new Lawrence University courses, study-abroad opportunities and collaborative research projects in China, all with an environmental focus, college officials have announced. Utilizing the resources of Lawrence’s current East Asian Studies and Environmental Studies programs, the new “Sustainable China: Integrating Culture, Conservation and Commerce” program will provide opportunities for students to examine, through a multi-disciplinary approach, the critical issues of economic growth, environmental sustainability and a shifting cultural landscape facing China. Awarded through the Luce Initiative on Asian Studies & the Environment (LIASE), the grant also will enable Lawrence to expand partnership collaborations with two Chinese institutions, Guizhou Normal University and the Linden Centre in Yunnan province. • conservation, highlighting the importance of governance systems that encourage both public and private sectors to be good stewards of available natural resources. • commerce or economic vitality, from the perspective that environmental sustainability should be pursued in ways that also drive economic sustainability. Designed to attract students from a wide range of majors and interests, the Sustainable China program has three major goals: broaden Lawrence student engagement with China in the curriculum; create new opportunities for students to gain first-hand experience in China and promote mutually beneficial bilateral partnerships with organizations in China. Details of the program will be developed over the next 13 months with a goal of securing further Henry Luce Foundation grant support to launch the Sustainable China program in the 2012-13 academic year. Finkler said the Karst Institute within Guizhou Normal University and the Linden Centre are “ideal partners” for the Sustainable China program. 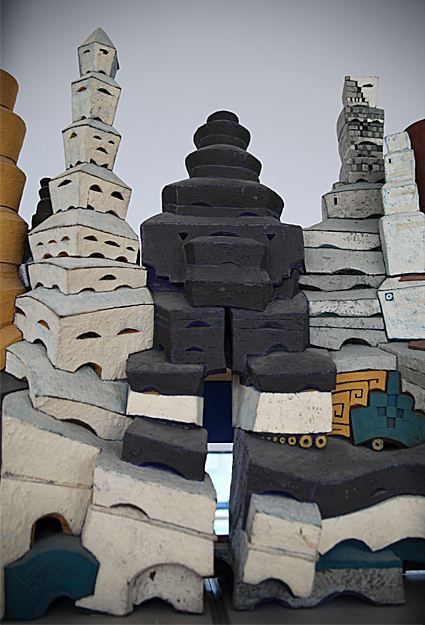 “The Karst Institute’s cultural, conservation and economic context mesh very well with the goals of our program,” said Finkler. “Guizhou province is home to more than 20 ethnic minorities, including many Miao villages. The Hmong and the Miao peoples share the same historic and cultural roots. Guizhou province ranks near the bottom in terms of provincial per capita income in China but features a rich array of natural resources, so those three ‘Cs’ of sustainability are all present. “The Linden Centre serves as a retreat for those who wish to study how traditional culture meshes with modern economic development, in an ecologically responsible way,” Finkler added. The Linden Centre is the creation of Brian and Jeanee Linden, who also operate the Linden Gallery in Ellison Bay, not far from Lawrence’s Bjorklunden estate. • co-hosting the “China-U.S. Water Symposium” in 2008, which attracted Chinese engineers and policy advisors as well as Wisconsin Department of Natural Resources officials, members of the NEW North economic development consortium, community leaders, legislators, policy experts and academic experts. The Henry Luce Foundation was established in 1936 by Henry R. Luce, the co-founder and editor-in-chief of Time Inc., to honor his parents who were missionary educators in China. The Foundation builds upon the vision and values of four generations of the Luce family: broadening knowledge and encouraging the highest standards of service and leadership. It seeks to bring important ideas to the center of American life, strengthen international understanding, and foster innovation and leadership in academic, policy, religious and art communities.